The Endoline 400 series are fully automatic pre-set case sealers that seal cases with hot melt glue and do not need require an operator. It is well-suited to long produiction runs of the same case size and the range of machines offered include top gluing and top and bottom gluing. 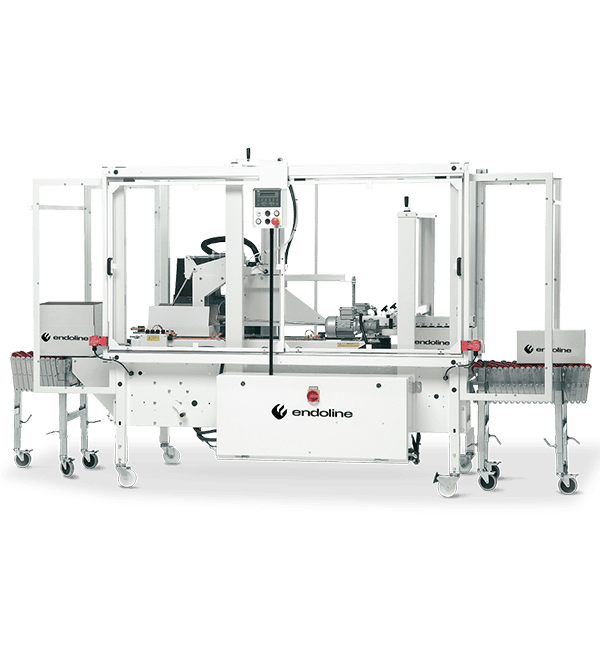 Endoline’s unique four column construction provides added stability and its robust chassis enables the machine to run 24 hours a day, 7 days a week with minimal down time. The type 400 series case tapers can handle cases between 160-500mm length, 100-400mm width and 100-490mm height. Endoline glue sealers use Nordson Pro-Blue glue systems as standard, offering high quality and efficency. Other glue systems are available on request.